Basic Principles, Protocols, and Procedures. Detailed descriptions and transcripts guide the clinician through every stage of therapeutic treatment. In Child and Adolescent Psychotherapy. 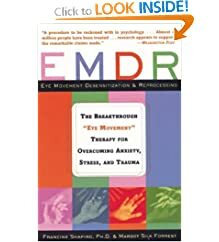 This book is for therapists who know how to do therapy and want to understand how EMDR can fit in with what they already do. The Breakthrough "Eye Movement" Therapy for Overcoming Anxiety, Stress, and Trauma. In a new introduction, Shapiro presents the new applications of this remarkable therapy and the latest scientific research that demonstrates its efficacy. Theoretical and Clinical Suggestions with Focus on Traumatic Stress (Innovations in Psychology). Elaborates on Shapiro's Accelerated Information Processing model in offering what Lipke calls the Four Activity Model (FAM) of Psychotherapy. In Small Wonders: Healing Childhood Trauma with EMDR, Joan Lovett, M.D., shares engaging clinical stories -- mysteries involving children who present her with puzzling and disturbing behaviors. 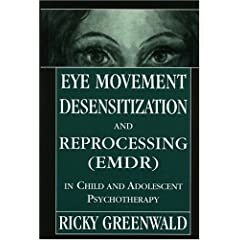 Chapter by chapter, readers are introduced to key technicians based in the powerful standard protocol of eye movement desensitization and reprocessing (EMDR). With EMDR and Ego State Therapy. In this groundbreaking new work nine master clinicians show how complex PTSD involving dissociation and other challenging diagnoses can be treated safely and effectively.